We will be talking about how you can generate traffic effectively via Google Adwords. It does not matter if you have zero to little knowledge on generating leads/traffic using this method, as this course will surely equip you with the answers that you have been looking for. It will also add value to what some of you seasoned users already know. What is Google Adwords and how do you utilize it to generate traffic? Where are my advertisements displayed? How is it displayed? Google Adwords is Google’s own advertising service, which allows you to place search results for your own website or landing page. The search results for your product or service will appear on the Search Engine Results Page (SERP), which you would have to pay a certain amount to get your results displayed. For some of you who are still new to the internet marketing scene, Google Adwords is one of the easiest and practical ways to generate traffic to your landing page. Contrary to popular belief, the steps are actually quite simple and are not as pricey as some may perceive it to be. The ads can appear in two ways, at the top of the SERP or at the sides. They can look more and more alike, like the original search results. Usually lot of users do not actually recognize the difference between an ad, and the original search results. At the moment, Google places a small ‘Ad’ label on the Google Adwords which appear on the SERP. Now that you have a rough idea on what Google Adwords is, we shall look into the mechanics of how to start your own Google Adwords campaign and navigating it towards your favor. We will be unraveling the mechanics of this vehicle, which is essential to kick start your own campaign and generate your very own traffic. The first vital step to kick-start your Google Adwords journey is to create a Google account. If you already have an existing account, then you’re good to go! But some users prefer to create a new account specifically for their use of Google Adwords so it would not get messy, and it will be more organized. For the first step, I recommend that you choose the “Search Network only” as your campaign type for starters. Secondly, decide how large or small a geographic area you want to target. clicks” so you can easily work within your budget. Next, when you write your first ad, ensure your keywords are also inserted in the headline. The fifth step is to paste in your keywords. Start with just one set and add plus signs (+), brackets ([ ]) and (“ “) to see how many search results you’ll get. The sixth step is to set your maximum CPC within your budget. For starters, remember to always scale. Finally, your ads will start showing once you’ve confirmed your payment. Now you’re set! KEYWORDS. Selecting the correct and relevant keywords to direct the audience to your landing page is key. As the advertiser, you select a keyword that a searcher might type in when they search for their particular interest on the Google search engine. Then, you create an advert that will appear on the SERP based on the keywords. Let’s illustrate an example. When a person searches for ‘Travel Packages To Canada’ on the search engine, adverts may appear alongside the search either at the top or on the right hand side of the SERP. Organic search results will also appear amongst the ads where some people may or may not notice the difference between the two. When you choose to venture into the Google Adwords scene, bear in mind that you are not the only company wanting to serve adverts for that particular keyword/keywords. Other companies with the similar niche can also bid for a spot in the SERP. The truth is if you want your ad to appear at all, you would have to compete against other marketers. The more you pay-per-click, the higher chance your advert appears in the SERP. However unlike real life bidding it is not just the highest bid for price that is taken into account for the projection of your ad. Google also measures your ad by ‘quality score,’ which we will unravel in the next chapter. Welcome back. In this module you will learn two major components that determines the success of your adverts; the “Highest Bid” and “Quality Score”. Now, let’s understand the basics of bidding. Let’s say most of us here has just started out with our Adword campaigns. First and foremost, you would want to ensure that you spend within your budget and for starters, it is common to bid your price referring to cost-per-click (CPC). In this context, CPC simply means that you pay for the amount of clicks on your advert. Google allows you to pay the maximum bid amount of your chosen keyword or if you have a tight budget to keep, you can always choose the automatic option. Google will automatically select the bid amount for you within your budget which is known as maximum cost-per-click bid. Google will then provide you the most possible clicks within your set budget. For example, let’s say you’ve set your CPC bid to $1. You own an online clothing line shop and you make $10 from every purchase and on average 1 in 10 visit results in a purchase. As a result, you only break even as your advertising cost is equal to the profit you generate. Therefore to gain profit, your CPC should cost you less than $1. Hence, choose a bid amount that works for you and the campaign that you are aiming for. The next factor is the “Quality Score”. Before your keywords can reach the results page, Google will evaluate the relevance and the usefulness of your selected keywords for ads. This is to ensure that your keywords are relevant to the users. Google also looks into the quality of your website. homepage which is not good enough and is not what the user wants. You should take into account that a higher bid for an Adword does not necessarily buy you to your results page display success. As a matter of fact, even if your rival’s bid is higher it is possible that you appear above their ad. The reason being your quality score is better (higher quality score, lower CPC), so focus on both; cost and relevance. We will learn the strategies and tactics in utilizing your Google Adwords to its maximum potential. The two stractegies that we will be discussing is how to structure your Google Adwords account and identifying your relevant keywords. Previously, we have already discussed the steps on how to create your Google Adwords account. But in order for you to be systematic and to stay relevant, there are effective ways to structure your Adwords account. A relevant and logical account structure will surely have a significant impact on your ads, especially in your quality score! If you are planning to run only one campaign, your Google Adword account is likely to be simple. However, if you plan to run multiple campaigns at the same time it will surely pay off when you consider to structure your account in a more optimized manner. There are multiple ways in which you can set up your Google Adwords account depending on your personal objectives. For instance, you can strategically structure your Adwords account based on your website, referring to the different categories of products or services you are offering. Meanwhile, you may also structure your account based on demographics such as geographic location, if your business operates in different markets. 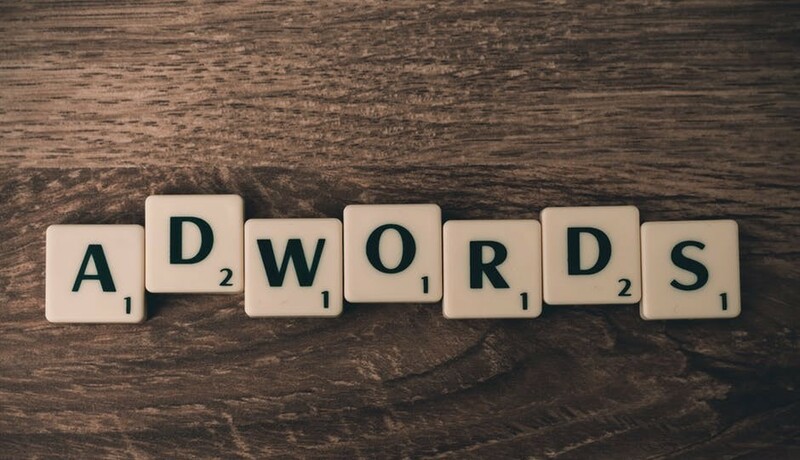 Now that you have already structured your Adwords account based on the campaigns, you would now have to identify which relevant keyword to apply for the different campaign ads. In order for you to come up with the most suitable and effective keyword, thorough research must be done! This is to ensure that the keywords you intend to use are not of a low quality score and are also not too competitive. This may result in your ad not having a shot to be displayed. 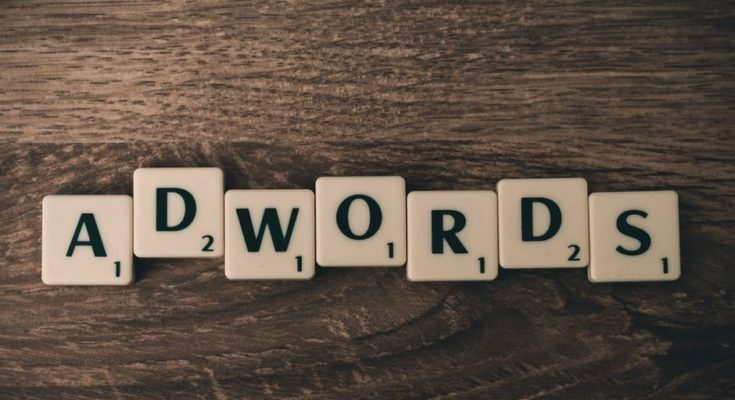 There are various ways to conduct keyword research when launching a new Adwords campaign, and one of it is using ‘Woodstream’s Free Keyword Tool’ to start. The steps are fairly simple. Firstly, you need to key in a search term, for instance, ‘baking supplies’. Wordstream will then generate a comprehensive list of keywords relating to the original search term. The most interesting part is the relative frequency data for the keywords is also made visible to you. You may also view the competitiveness of the keywords as well as the search volume (using data from both Google and Wordstream). On top of that, you may also test out your keywords by using the ‘Wordstream Advisor’. It enables you to search for new keyword ideas, identifying the keyword niches and most importantly excluding negative keywords from your campaign. Wordstream Advisor is Wordstream’s Free Keyword Tool PPC and social media advertising platform. Remember to always start small with the number of keywords per ad group, which is 10 to 20 maximum. This is because Google works in a way where when there are too many keywords in a particular ad group. The list will get too crowded and the chances of you getting results or generate traffic based on the keywords are very slim. Some may not even generate anything at all. Next we will identify your audience and USP (Unique Selling Proposition). This will surely set you apart from your other Adwords competitors and we shall explore that in the next module. Adwords campaign’s success, which is identifying your audience and your Unique Selling Point (USP). One of the most important factors in ensuring you strategize your ads effectively is by identifying who your customers are and their demands. ⦁ What does your customer want? ⦁ What does your ideal customers do? ⦁ When do they do it? ⦁ When are they actively searching for what they want? ⦁ What device are they using? When you have asked these questions, make sure that you follow it up with thorough research. By doing so you will understand your market, as well as the client’s needs. Therefore would you agree that you would not be wasting your resources (time, money and energy) in developing your Adword campaign? Think of it this way. If your customers are not searching for your product or service via Google Adwords then obviously, your campaign will surely be a waste. Many times, entrepreneurs are so much attached with the products or services they’re offering and they tend to forget that it is not their needs should be satisfied, but their customer’s. So hold your horses and before you enthusiastically launch your first campaign, you need to verify whether there is in fact an audience for your show. Next, it is imperative that you identify your USP (Unique Selling Proposition). What is USP? Your USP is what sets you apart from you and your competitors. It gives you an advantage, where it gives your potential customer a convincing reason to choose you over your competitors. For instance, if you choose to advertise your traveling package to Europe. What makes your travel package stand out from the ones that are already available in the market? What makes you stand out or what is your X factor? Do you offer destinations in Europe that other companies never offered before? Or do you have complimentary prizes that other companies have never thought of? Are you unique enough? A powerful USP that everyone will surely realize is: “Fresh hot pizza delivered in 30 minutes or less, guaranteed.” This USP originates from Dominos Pizza, which they applied to create a billion dollar company! So, it leaves us with the most vital question. How do you create your own USP? Firstly, identify your strengths and what do you have that others don’t. As stated earlier this will be your X factor. ⦁ Why are they doing business with you and not others? ⦁ What do they like about your product/service? ⦁ What can you improve on? Always remember that your price tag is not the sole reason why people buy your product or service. If your competitor is pulling you down on pricing because they are more established, you have to be creative and tackle another sales feature that will compensate the customer’s needs. You need to build your sales around that particular feature. Thirdly, in order to create a very compelling USP, analyze your competitors. As the saying goes, “if you can’t beat them, join them.” The best way to go about it is by conducting a competitor analysis. Make sure to analyze your competitors’ ads, websites and marketing materials. This way you can find a way to stand out from the crowd and establish a unique Adword campaign! We shall discuss the steps in coming up with killer ads for your Adwords campaign. besides traffic that you intend to generate, there will be unwanted traffic too. You must take this into account as you are paying when people click on your ads. This concludes that when you have more relevant clicks, you generate more sales. When you do not have unwanted traffic clicking on your ads, you would eventually save more money where it ads to your profit margin. Bear in mind that these components will either make you, or break you! Firstly, let’s look at the headline. The headline should be your main focus as it is what your prospects will be reading first of all. Moreover, Adwords will only allow a maximum of 25 characters per headline, so make every precious character count. One proven way to construct a compelling headline is by speaking to your customer’s end goal. Do not ask them questions that they are already asking themselves and what they already know. their crops, you should not have your headline as, “Searching For Pesticides?” which can be redundant. Instead, give them the answer that they are looking for and what they want to achieve. For your description line 1 and 2, you are only given 35 characters. Hence, reiterate your offer as effective as possible. Remember to include your USP, as well as your call to action to prompt your customers. Another powerful tool to boost your click – through rate is by using the ‘countdown timer’, a current feature introduced by Google. This feature can also be inserted in your Adwords campaign which will instill a psychological force, known as ‘loss aversion’ to your prospects. Sometimes, people are motivated by the idea of not wanting to be left behind than the idea of gaining something new. Therefore, by adding the simple feature of having an end date to your offer and including a real-life countdown on your ad, will surely inject a fear of loss in your prospects. This will surely give you an edge over your competitors. by most users. The display URL is an important marketing feature if you know how to structure it. When you have already mastered this art, it will increase your click – through rate (CTR), which in turn will boost your quality score and lower your cost-per-click (CPC). Think of it this way. Great ads will minimize your cost, while lousy ads will only add to it! The final important strategy to get your Adwords campaign running smoothly, which is tracking your conversions. shows you exactly what happens after a customer views or clicks your ads. A conversion can be defined as an action made by a customer after they have viewed or clicked on your ads. 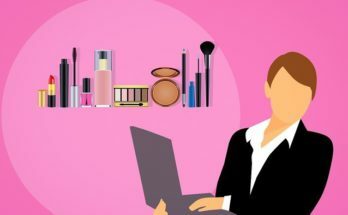 This may include purchasing a product from your website, signed-up for your newsletter, called to get to know more of what you’re business is about, as well as downloading your app. Why use conversion tracking? Conversion tracking tracks your keywords and ads progress. If you skip this step you’ll never have an idea on which keywords, ads, ad groups and campaigns are generating money and which one is only pulling your resources down. In another sense, you would not be able to optimize your campaign once it’s up and running. Let’s say that you make $40 on each denim jacket you sell. With the aid of conversion tracking, you can identify how much you spend on advertising your goods. In this context, let’s say you spend about $10 for each purchase your ad generates. As a result, your Return On Investmen (ROI) is $30. This shows that your business is generating a positive value as you are gaining more than what you have spent. The example illustrated above shows how you can easily optimize your business with the help of conversion tracking. How about if you have multiple businesses to take care of? Well, it will surely come in handy too. By using conversion tracking, you can compare and contrast between the two businesses and see which Adwords campaign is working better for you in terms of conversions. 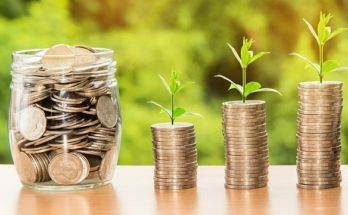 If you track that your business in A is converting relatively better than your Business B, you can decide on the ways to improve by allocating more of your advertising budget to Business B. Or, you can make adjustments to your Adwords campaign to boost your profit in Business B even more. understand how your advertising campaigns help you achieve your business goals. It also provides you space to tweak your strategies and aligning your budget. You have learnt about what Google Adwords is, what are the mechanics, how can you start your own campaign and the strategies and tactics to go about it. We have finally reached the last module where it is all about optimizing your Adwords campaign. From the previous modules, I am certain that you are now able to launch your Google Adwords campaign. Once Google approves of your ads, congrats! You are now up and running. However even if you are on the right track and doing everything right, it is still hard to assess how well you are performing in the scene. Bear in mind, most campaigns that are just starting up will also need some time to generate profit. clicks and sales you will still need to adjust your bids. If your keywords are generating profit, but you are still not ranked as the top campaigner then you should continue to raise your bidding price. However, if your keywords are not generating any profit, you would eventually have to lower your budget in biding or pause the campaign to improve your game. Secondly is optimizing your click-through-rate (CTR). Your CTR directly affects the performance of your quality score which is the relevance of your campaign. This will then determine how much you pay-per-click. The higher the quality score, the lower you pay-per-click. Therefore to optimize your CTR, test run different Adwords campaign to see which version gets the most clicks. comparing different versions of your landing page. But fret not, there is a short-cut to this method. For starters, you can make use of the Google Analytics Experiment where it is easy and free. The tool enables you to test any slight change or variation to your website which enables you to measure which landing page generates the most conversions. You are now good to go! I hope you have already mastered the tricks of the trades in the Google Adwords scene. You can focus on optimizing your campaigns by adjusting the necessary features to maximize your conversion rates, and minimizing your costs.